Scattered storms popped up throughout Middle Tennessee bringing severe weather conditions to many counties. Severe Thunderstorm Warnings were issued for multiple counties Sunday afternoon. Those counties included Davidson, Williamson, Montgomery, Robertson, Sumner, Dickson, and Hickman. A Flash Flood Warning due to heavy rain and runoff was also issued for Macon County Sunday evening, lasting until 11 p.m. 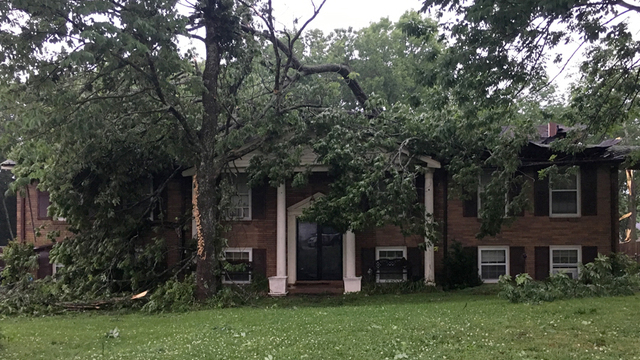 In Davidson County, multiple reports of downed power lines from strong winds during one of the severe storms came in from locations like Belmont Boulevard, Wildwood Avenue, Park Avenue, 12th Avenue North, and Belle Meade Boulevard. Those downed lines created power outages throughout most of the western portion of Nashville , as well as many other locations throughout Davidson County. At one point, more than 7,000 customers were without power as crews worked to fix the issue. As of 6:30 p.m. Sunday, nearly 6,000 remained without power. By 9:30 p.m. that number had lowered to slightly more than 3,500, and by 11 p.m. it had dropped to just under 2,000. 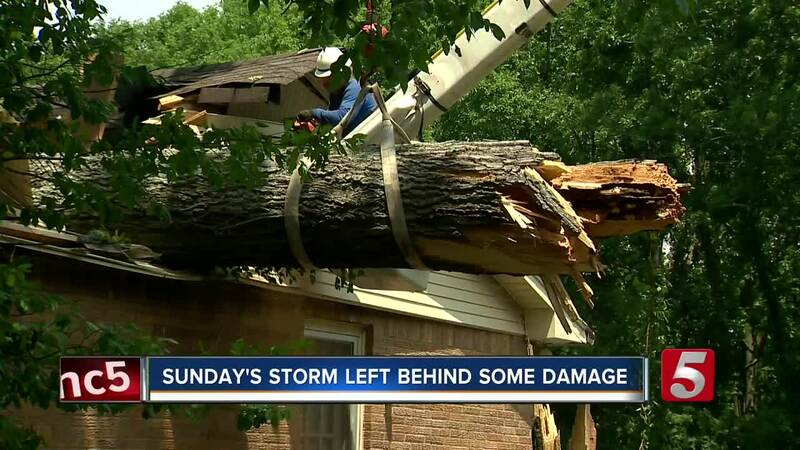 Numerous trees were also reported down after the storms moved through. A tree fell on a vehicle, smashing it, at an apartment complex in the 800 block of Bellevue Road. No injuries have been reported in that incident. 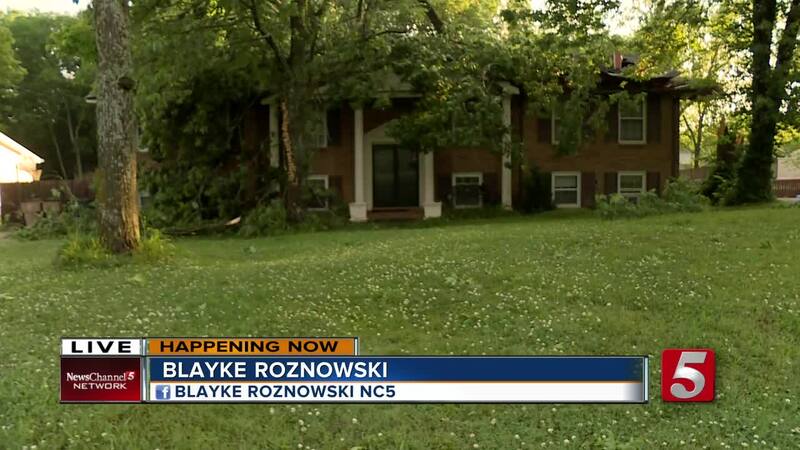 On Percy Warner Boulevard, a tree fell on a home. Officials said everyone in the home made it out safely. See more photos from the scene and the cleanup in this photo gallery . 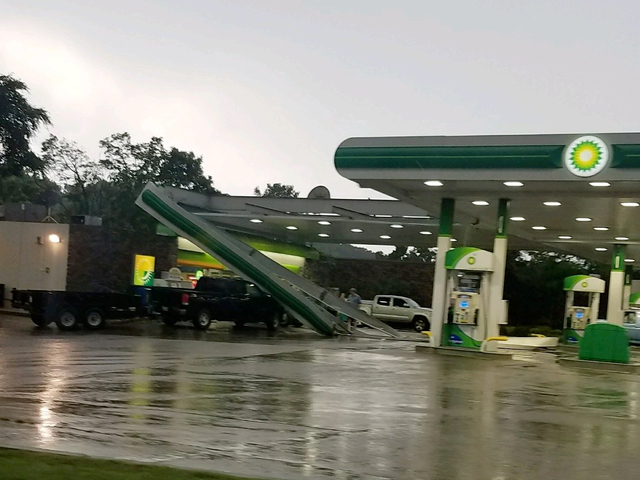 Damage was also reported a the BP gas station on the corner of Old Hickory Boulevard and Highway 70 South in Bellevue. For the latest weather information, visit our weather page .